Their 6th birthday is always a big deal. 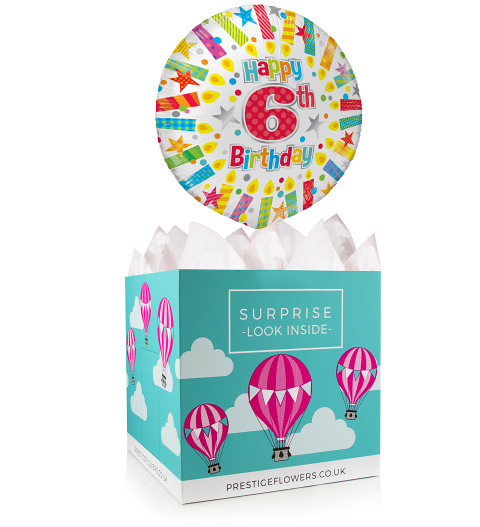 Make the birthday girl or boy feel even more delighted when you send this 18-inch helium balloon and gift box. You can also select one or more optional extras such as cake, chocolates, or a cuddly bear to complete your gift. For that personal touch – let us know what message you'd like us to include.